Colourful salad from fresh vegetables isolated on white background. 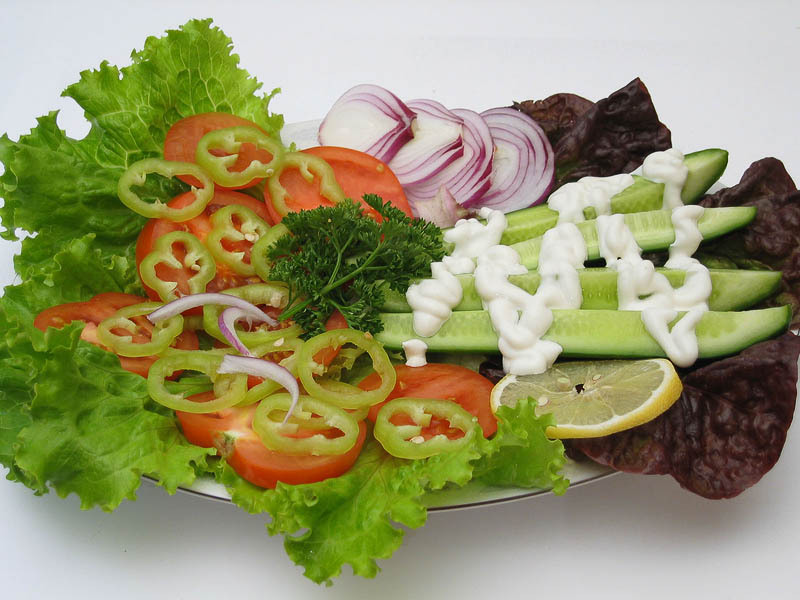 Colourful salad with green lettuce leaves, chicory leafs, slices red tomato, slices green pepper, slices violet onion, slice of lemon, big pieces cucumber, parsley sprigs and white mayonnaise sauce. Healthy vegetable food with vitamins. Tasty juicy salad.